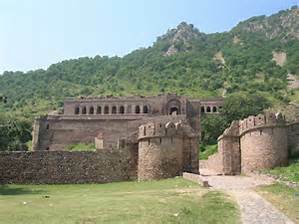 The Bhangarh Fort is a 17th-century fort built in the Rajasthan state of India. It was built by Man Singh I (one of the navratans of Akbar's court) for his younger brother Madho Singh I. It was named by Madho Singh after his grandfather Man Singh or Bhan Singh.A new village of Bhangarh with a population of 1,306 in 200 households has developed outside the limits of the fort as there is fear of ghosts haunting the old city. The fort and its precincts are well preserved. The Bhangarh Fort is located on the border of the Sariska Reserve in the Aravali range of hills in Alwar district of Rajasthan. The nearest village is Golakabaas. The fort is situated at the foot of the hills on sloping terrain. The ruins of the King’s palace are located on the lower slopes of the hills; trees surround the pond area and a natural stream falls into the pond within the premises of the palace. The fort is located 235 kilometres (146 mi) from Delhi and the approach to the entrance gate of the fort in the last 2 kilometres (1.2 mi) stretch of the road is an unpaved road. The fort is 20 miles (32 km) from Thana Ghazi. There are two legends narrated to the history of the fort city, which is reported to be haunted, and no one is allowed to remain in the precincts of the fort at night, per a notice board put up by the Archaeological Survey of India at the entrance. One version of the legend is that a sadhu named Baba Balak Nath lived within the fort area. It was his injunction that any houses built in the precincts of the fort should not be taller than his house, and if the shadow of any such house fell on his house, it would result in destruction of the fort town. In another version, N.K. SINHAI, the wizard who was adept in black magic fell in love with Ratnavati, the princess of Bhangarh who was very beautiful and had suitors to marry her from many royal families of the country. One day the princess, 18 years of age, went shopping with her friends and was buying Ittar (scent). The wizard saw this and replaced the scent with a love potion in order to ensnare the princess. He offered the potion to her so that she would take a liking to him and marry him. However, the princess saw through the wizard's trickery, and when he offered her the bowl of potion, she threw it onto a big boulder nearby. As a result, the boulder started rolling down towards the wizard and crushed him. 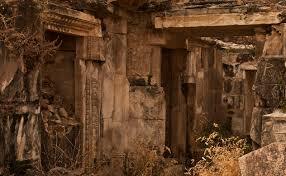 Before he died, he cursed that Bhangarh would be destroyed soon and no one would be able to live within its precincts. Subsequently, Bhangarh Fort was invaded by the Mughals from the north and the city was surrounded and sacked; 10,000 people lived in the fort city at that time. All the people in the fort, including the princess, were killed. The present state of the fort is attributed to the curse of the wizard and people believe the ghosts in the fort are that of the princess and the wizard. Entering through the MAIN gate of the completely ruined fort city - now called the "Bhoot Bangla" meaning "House of Ghosts" - gives an eerie feeling that is not proved. Within the fort, at the main entry, one can find temples, palaces and havelis. In addition, there are four more gates of entry to the fort – the Lahori Gate, the Ajmeri Gate, the Phulbari Gate and the Delhi Gate. At the entrance of the main gate, are many Hindu temples such as Hanuman Temple, Gopinath Temple, Someshwar Temple, Keshav Rai Temple, Mangla Devi Temple, Ganesh Temple and Navin Temple. The Gopinath Temple is built above a 14 ft raised plinth and yellow stones are used for the exquisite carvings of the temple. The residence of the priest called the Purohitji Ki Haveli is located in the precincts of the temple complex. Next in order is the Nachan Ki Haveli (dancer's palace) and Jauhari Bazar (market place) followed by the Gopinath Temple. The Royal Palace is located at the extreme end of the fort’s limits. The temples dedicated to Hanuman and Shiv Mahadev are very elegant but need to be preserved. However, they are built in the style of cenotaphs rather than temples. Jhirri marble has been used in their construction but presently covered by white wash. The Muslim tomb found outside the gate of the fort is reported to be that of one of the sons of King Hari Singh. 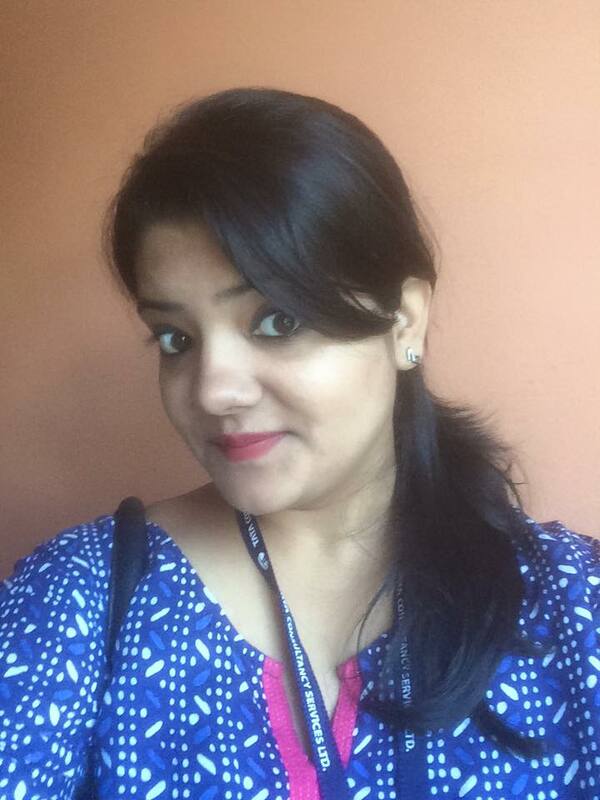 Surbhi Nagar (Batch 2011) is working as a system engineer at TCS, Pune. She did her X from The Fabindia School in the year 2010-11. Then she went to Bangalore and did her XII from Oxford Senior Secondary School. She did her engineering from Bharati Vidyapeeth Deemed University College of Engineering, Pune. Nowadays she is working in Tata Consultancy services, Pune. Teacher of the Week: Mrs Prerna Rathod was selected as the Teacher this Week for her hard work in Eco club and Math Quiz competition. She was born on 24th November 1973. She has done her schooling from Mount Carmel Convent High School Pune .She has done her graduation from Nowrosjee Wadia College Pune . She has done her B.Ed from IGNOU. She has been teaching in the Fabindia School for the last 11 years. She has also taught in K.S. Lodha Public School Falna for one year. Her dream was to become a teacher and she is very happy that her dream is fulfilled. Staff stayed back to do correction of Half Yearly Examination for the whole week. The staff gives their heartiest congratulations to Vimmy Rajpurohit on her engagement. Mr. Shravan Dave F/o Krisha Dave/ VIII & Punit Dave/ IV was selected as the Parent this Week. ED: What is your name? SD: My name is Shravan Dave. SD: I have two children. ED: What is your ward’s name? SD: Krisha Dave/VIII and Punit Dave/IV. SD: I have a Mobile Shop in Bali. ED: What do you want to achieve in your field? SD: Whatever I wanted to achieve I have achieved it but now my wish is to go in politics to remove corruption and dirt from the society. ED: What did you ward achieve while studying in the school? SD: My son has achieved 1st in Academics and my daughter is also progressing day by day. ED: What do you want your child to achieve more? SD: I want that whatever they wish to achieve they should achieve and make everyone proud. ED: What feedback would you like to give to our school? Saturday, 17th December: Blessy Maria/ XII/ DH was selected as the ‘Student This Week’ for her sincerity and dedication towards the School’s rules and regulations. Present time is the age of media. Modern man is changing very fast and media has become a necessary part of his life. From last three decades it has been playing an effective role to change man physically and mentally. It has brought about revolutionary changes in the social, cultural and economic standard of man. In India television has much influence on society rather than computer, internet, newspaper and radio. In 21st century, most of the middle class families have television at their homes. Mostly television has made a bad impact on children's character and spoiled their life. Now children are more likely to play video and computer games rather than playing football, cricket, basketball etc. in the fields. So they are weakening physically. Most of the program on T.V ignores our culture and moral values and children are not learning anything from them. Today, there is no program on T.V. that entire family can watch together. The kids get affected they live in a fantasy world and want to imitate those good looking people on Television. They are getting extremely figure conscious which is not good for growing bodies. The children are accepting the ideas and suggestion which are presented on T.V. They are losing their own thoughts. Although it is right that media is providing information about whole universe but in pursuing of modernity. We are losing our power of thinking and forgetting our own culture and civilization, so the future in the context of media and entertainment seems rather negative from all possible angles. Because I love to take wicket. Every player wants to take catch. And one of the team loss. We have to score many run. When any player is out. To see it people are busy. And I also want to play so I always pray. Tuesday, 13th December: For the whole week. FA III was conducted for Class VI to X. A number of activities, projects and creative writing were carried out to evaluate students. For Class I- V, XI & XII Half Yearly’s were conducted. Wednesday, 14th December: Monthly Theme ‘Sports & Health’ is displayed on the display board outside the classes.